Considered to be one of the most beautiful, romantic and iconic cities known to man, Paris is the place where fashion enthusiasts’ dreams are made. Chanel to YSL, Michael Khors to Dior, the fashion industry is a long standing and ever changing force within the city. From show to show, season to season, Paris is a continuous running of style from sunrise to sunset. All of this, teamed with its beautiful architecture, delicious wine, and oh so good croissants (not so good for the bum), makes Paris a must see place for all. Since the age of 13 I have visited Paris numerous times, three for Disneyland (wahay, not ashamed) and twice for exploring (aka cheese and wine time). Some may think that visiting the city over and over would be a boring thing but OH NO, YOU THOUGHT WRONG, as each time was filled with a different outlook and gave a new found love for the city. The amazement for me is the Parisians’ ability to be so calm and collected, yet busy, fashion forward and comfortable. Undeniably, the Parisians show their flare of fashion whilst regularly fashioning their favourite pallet of Noir. Which, people, leads me to… (Drum roll please)…MY INTERNSHIP! Around a week ago I daringly applied for an internship with the one and only creator of the beautiful dress, Mr Zac Posen. Little did I know that just one day later I would be asked to meet with the team in Paris in just one month’s time.ME? EH? It must be a joke? The absolute giddiness in me spun out of control and next thing you know, it’s confirmed, and BAM the flights are booked. Hello Paris come June 28th! Zac Posen, if you aren’t to know of him (pft), is a Manhattan based designer, whose creations span every red carpet, Met Gala opening and more. Providing the utmost glamour to women in a form fitting, elegant and iconic way. Allowing them to be at comfort but also ridiculously beautiful. To be truthfully honest the idea of going makes me both extremely nervous and SO EXCITED as to intern for Zac Posen, c’mon, who wouldn’t be? Over the coming weeks I’ll be counting down (like an absolute loser) to my departure to Grand Ole Paris and upon my arrival will be taking you through the exciting steps with me! WAHAY to Paris and to Zac Posen… Show me the dresses! 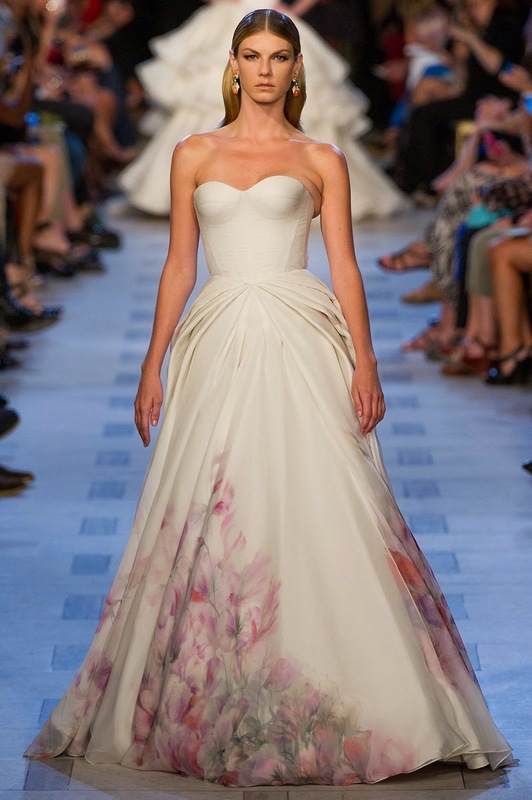 Zac Posen RTW(ready to wear) Spring ’13- what. a. dream. Previous Post Ready to run?…Oh no, no, no.